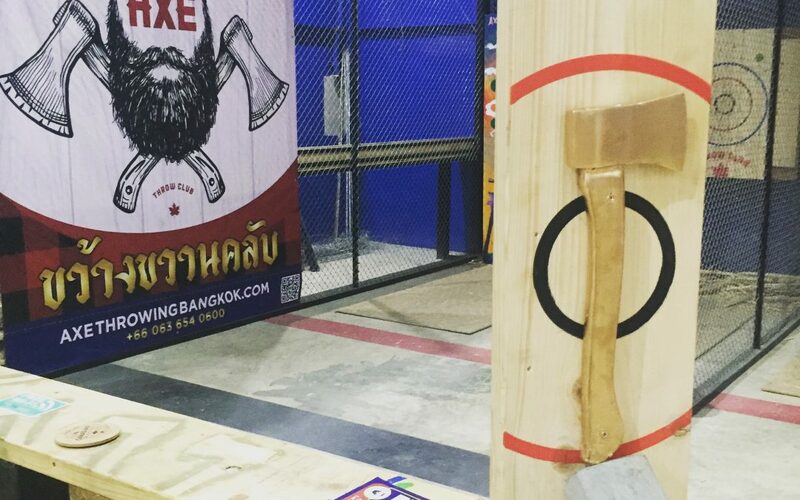 Asia’s 1st & only Axe Throwing Champion, is Robin Graham from Scotland! 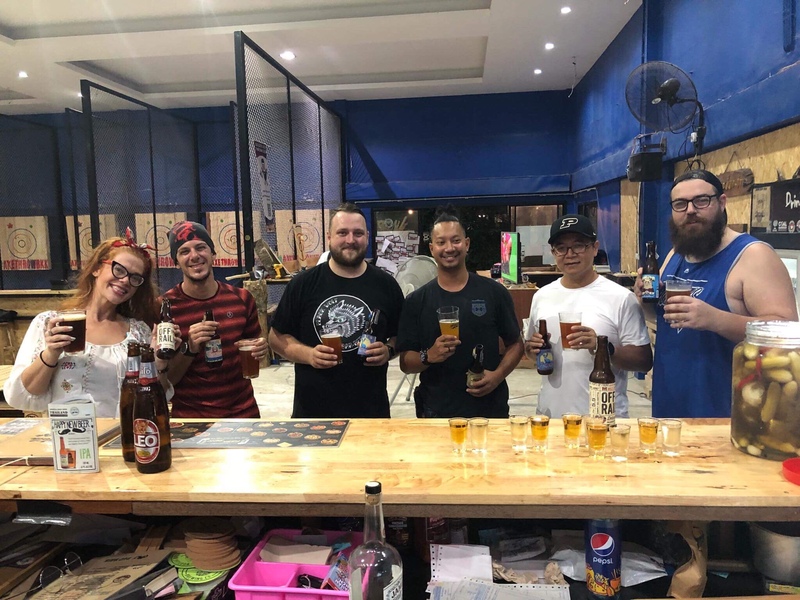 Golden Axe Throw Club proudly hosted the first NATF (National Axe Throwing Federation) regulated Axe Throwing Tournament in all Asia, with great success! After a gruelling competitive tournament, Robin ousted Owner & Founder of Golden Axe, Ryan Nelson, a former 3 time axe champ from Ontario, Canada. 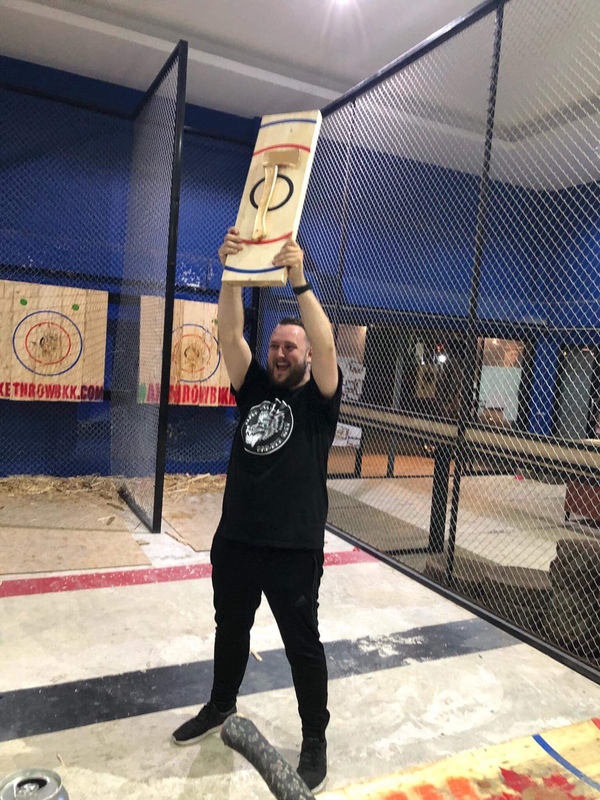 Robin came from behind and won 2 straight best of 7 series (both in final round 7), to become Asia’s first and only axe throwing champion! 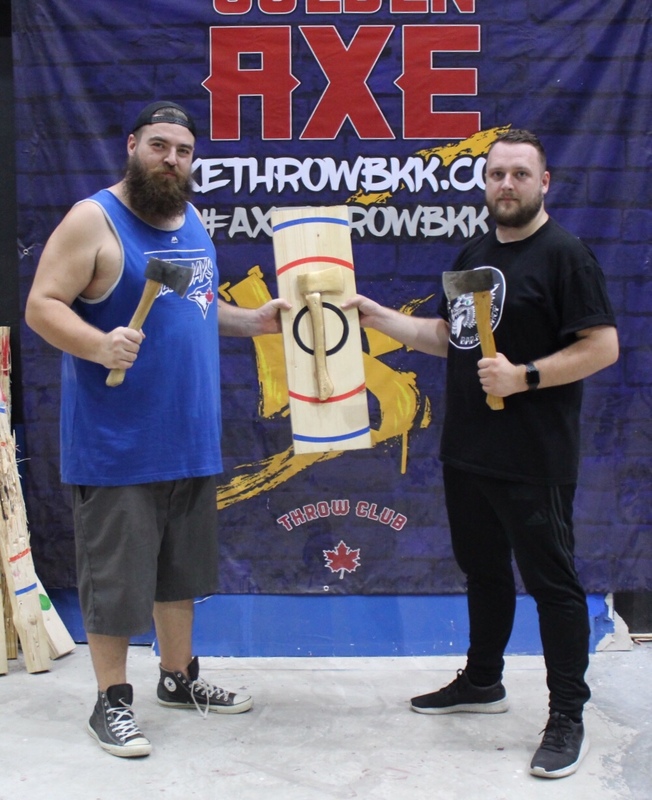 The inaugural season of Golden Axe Throw Club’s Axe Throwing League was sponsored by Canadian Craft Beer imported Drinkwise Co, who provided free craft beer to this epic tournament. 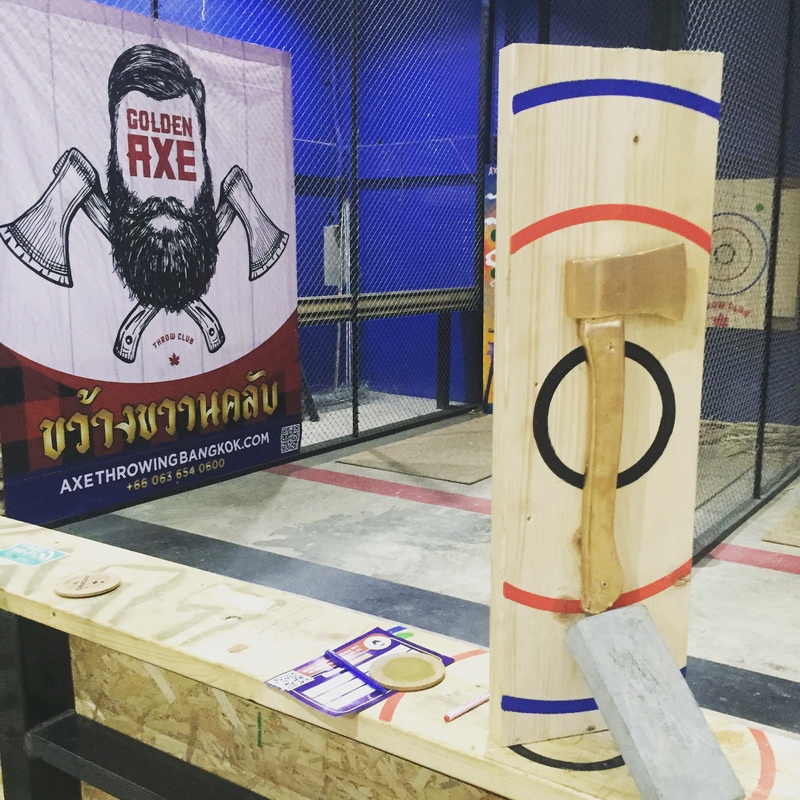 Stay tuned for Season 2 of Bangkok’s Axe Throwing League, starting with a round robin tournament & playoff on July 29th, open to the public. 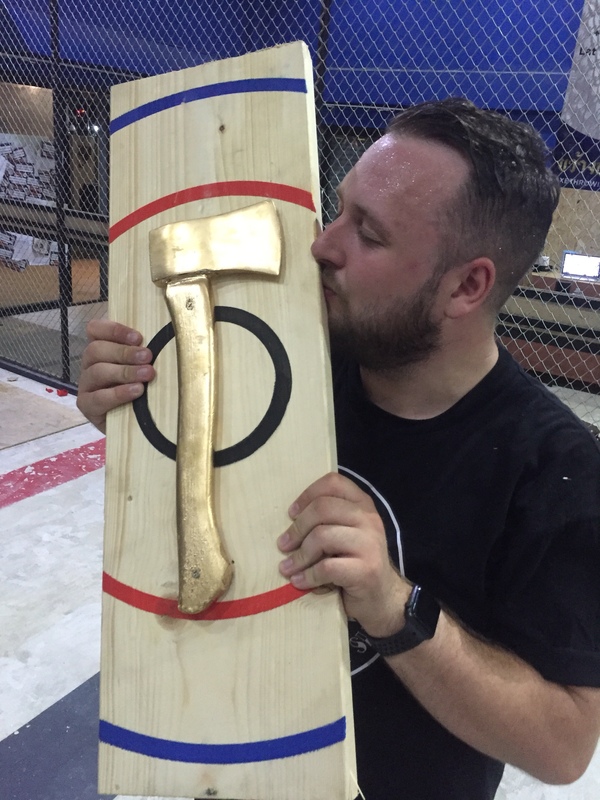 6 months ago, I fell in love with the sport of Axe Throwing and today I became the first official champion in all of Asia under NATF rules. 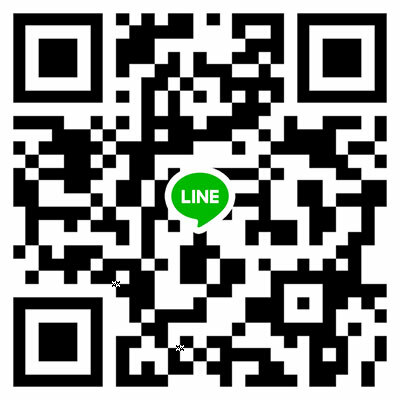 I feel like my life has culminated in this moment and from now on it’s all down hill. Thank you to everyone who believed in, I appreciate your love. One Champ. Peace out.